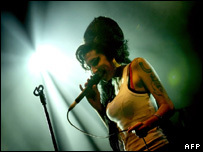 Music fans the UK are continuing to abandon the buying of CDs, with sales down by 10% in the first half of 2007. Figures compiled by the British Phonographic Industry show that 6.5m fewer albums have been sold this year compared with the same period in 2006. Consumers failed to make up the shortfall online, with digital album sales increasing by just 2m. 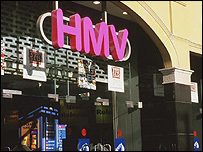 The news comes after HMV announced its profits had halved and high-street record store Fopp shut its 81 outlets. More than 700 staff lost their jobs as the retailer closed its doors last week, the latest victim of the sharp decline in CD sales. The digital market continues to grow - with a 50% increase in digital single purchases in the first six months of the year, according to the BPI's figures. But downloads still only account for 10-20% of the overall music market, and that figure includes formats such as ringtones. For record companies, the decline in CD sales has sparked a search for new ways to make money from music. "If we're still going to be able to invest at the levels we want to, we're going to want to share in those additional revenues," said Adam White of Universal Music. "But recorded music is still the building block of new artists' careers." White said that while the industry is experiencing increased pressure, major companies like Universal have to focus on developing unique artists and "imaginative ways to reach the consumer".